Rinku Town is a popular first stop for those arriving off the plane from Kansai International Airport. It’s a small, 2-floor shopping centre known as the Rinku Pleasure Town Seacle with an outlet mall across the road. 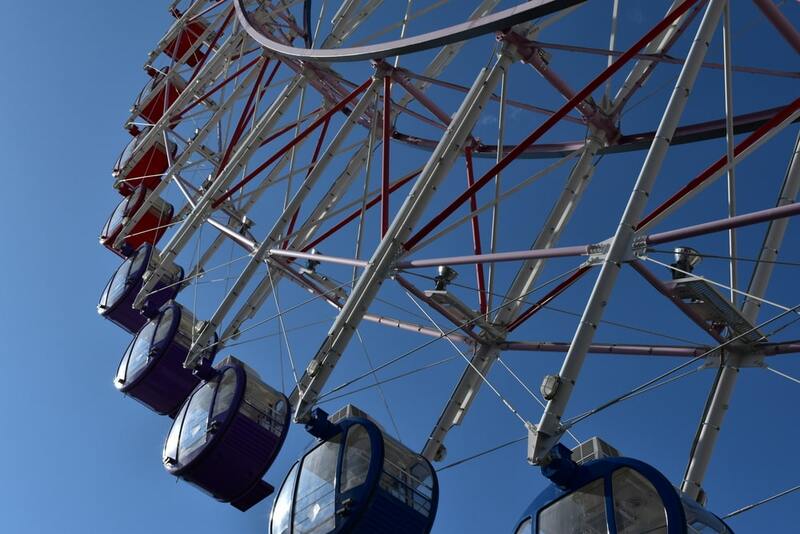 It’s quite popular due to the large Ferris wheel which allows for new visitors to the area to get a lay of the land with a maximum height of about 85m above sea level, the tallest Ferris wheel in the south Osaka area. At night, the Ferris wheel is illuminated with bright colours, making it almost impossible to miss. Inside the shopping centre, there is also a food court with some tasty meals on offer for a really cheap price. As the shopping centre is located outside the doors of the Rinku-town station, there are coin lockers for both small and large luggage available. Inside the station, you can expect to pay 700jpy for a large locker, which just outside the station gates, the price is reduced to 500jpy for a large locker. Across the road from Seacle, you can find Rinku Park, which is a peaceful park located along the coast with views of Kansai airport on clear days. The park offers a quite place to go for a stroll to kill some time. While not overly large, the park still has some attractive features. In particular, inside, you will find a small lagoon which has been fed in through the ocean, and inside there you will see some large fish which swim around in the shallows and hang out near the rocks. While fishing is prohibited in the park grounds, as a former professional angler, it was still enjoyable just seeing the fish there in the water. The lagoon is secluded from the ocean; however the tides still have an effect on it, and there are rocks located in an arch by the shore which indicate the status of the tide. 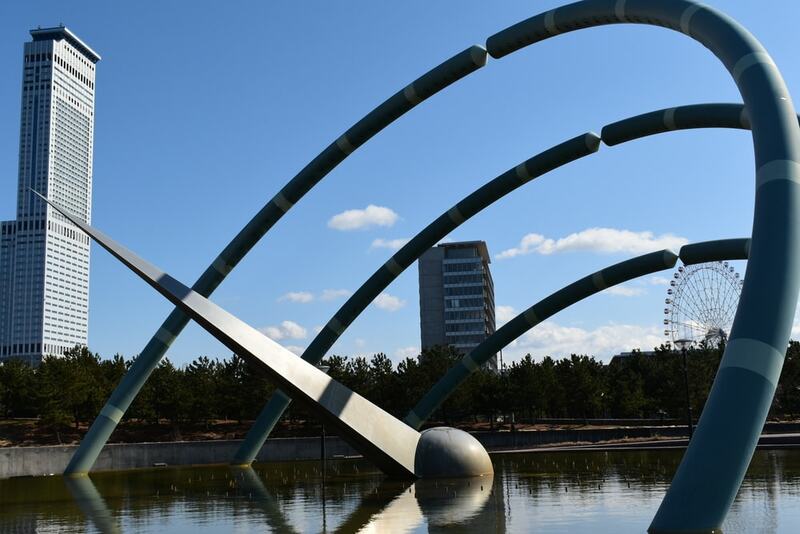 Furthermore, there is a large sundial looking structure which indicated the status of the sun in proximity to the earth and whether or not the solstice or equinox is near. Rinku Town is easily accesible via train, given the fact that it is literally outside the train station with the same name.